Nadama’s aim is to create music that is uplifting and can easily lead the listener to his own inner silence. 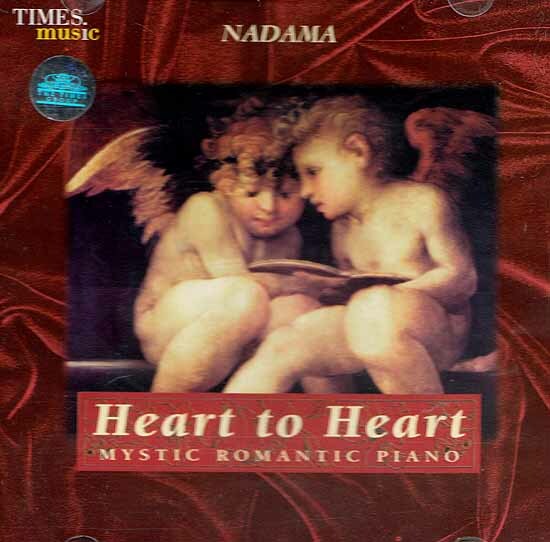 All compositions written and performed by Nadama. Percussion tracks performed by Rishi Vlote. Plrogramming and technical assistance by Rishi Vlote. Recorded and mixed by Rishi Vlote at Cha Cha Sound Studio, Munich. Nadama’s Portrait and Creative Direction: Bhikkhu. Djembe Drums and Drum Kit. Heart to Heart is a sharing of the intimate spaces of the heart, a communion between the listener’s heart and the music which comes out of nowhere and then disappears again. The spaces of the heart are mysterious and unpredictable sometimes simple and innocent, sometimes passionate, sometimes tender, sometimes silent.